Squeefinity: A Casual Guide to Anime and Manga: Seriously? 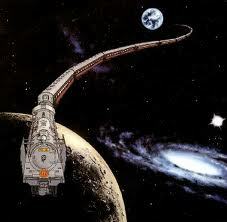 What is it with this Crazy Obsession with Trains in Space? Space Train! For people who are afraid to fly?